If you’re struggling to find the right Adult Martial Arts Keller TX for your specific needs, you may feel helpless and out of ideas. Are you really beginning to feel like you’ll never be able to locate the perfect Taekwondo and karate classes for your situations? If you’re ready to start doing better, we have help for you. Our team of professionals want you to be able to succeed in the face of doubt, and with our instructors around, you’ll have all the resources you need. Contact Tiger-Rock Martial Arts today for more information. TRMA has been around for years, and we don’t plan on stopping what we do any time soon. You’re probably wondering where we got our humble beginnings from, and we’re always more than happy to share our background with a prospect. Our dojo began in 1983 as a single place for people to learn. Locals would come check out our spot and try to train with our instructors. Together, they created a scene that quickly turned into a movement that took on a mind of its own. Today, Tiger-Rock is the biggest martial arts franchise in the United States of America. With over a hundred locations nationwide, you can count on our brand to build you up and turn you into a warrior. We have helped countless students get the most out of our classes, and we always want to help a new student get better. You’re probably interested in learning more about karate and Taekwondo, and we pride you on your curiosity. Our team is here to stoke the fires of passion and make sure you beg better in a timely manner. Each and every one of our staffs is made up of a group of certified and trained instructors. 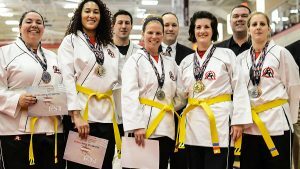 These are people who have mastered the traditional form of Korean Taekwondo we teach. If you’re trying to reach out to professionals who know how to help you, we’re here to make things happen. 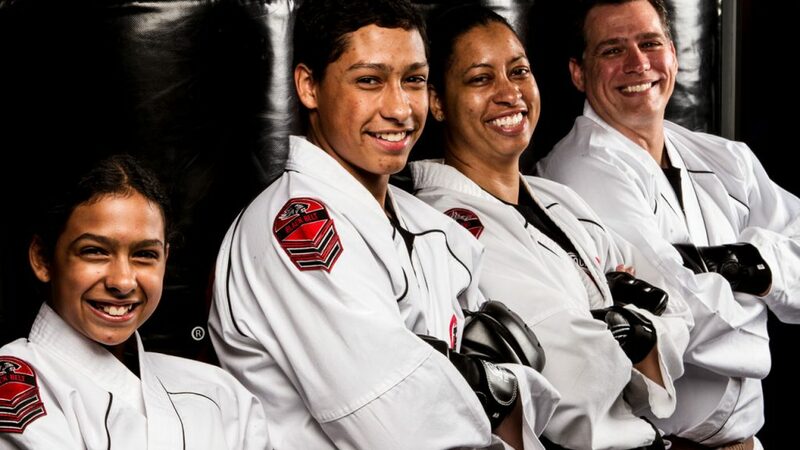 Trust in our team if you want to ensure you’re able to get the most out of martial arts. This is a practice that not everybody maximizes. If you want to be one of the ones who do, call us and get in contact with our trainers. We’ll make sure you have access to some of the best resources in this field. If you’re looking for Adult Martial Arts Keller TX classes, you might feel like all hope is lost. Are you beginning to doubt yourself because you don’t have much experience? Maybe you’re comparing yourself to your friends who all took karate classes as kids and now they’re getting back into the swing of things. If you’re trying to start your journey in martial arts and you have no experience whatsoever, you can count on us to have empathy. Our instructors understand that not everybody starts from the same place. If you’d like to join a dojo in Keller TX that embraces that, TRMA is here for you. Many adults feel like they’ll never be able to get the most out of their physical and mental makeups because they signed up to karate and Taekwondo lessons late. This is something that can really create a lot of fear, self-doubt, and insecurity if you let it. Make sure you’re able to overcome these negative feelings, thoughts, and emotions by counting on our team. We’ll make sure you have some of the best possible courses and programs at your disposal. Ensure your progress by counting on our classes to propel you forward. Our instructors are waiting for your call, and they’re ready to jumpstart your journey towards transformation. Are you someone who has a lot of experience in martial arts but you’re looking for a new dojo to train at? Perhaps you’re someone who mastered Taekwondo years ago, but you haven’t practiced in decades. Whatever the case may be, know that our dojo will welcome you with open arms. We enjoy teaching students and pupils who are just trying to get back into the habit of krate. If you’re looking for a way to start getting better at your own rate, call in our team for more information. We can help you develop your skills and make the most out of your potential. You won’t have to spend a lot of money and waste your entire paycheck if you choose Tiger-Rock as your dojo. We understand that martial arts is a privilege that everybody should have. This is an absolutely life-changing hobby and lifestyle that can bear a lot of positive benefits for the practitioner. If you’re trying to find affordable classes that fit your budget and schedule, TRMA is here to help. Feel free to contact our team today and learn more about what we offer. Our details can shed some light into the problems and potential concerns you might have before jumping into a Keller TX martial arts class. Our Adult Martial Arts Keller TX classes are the best in Texas. You can count on our professionals to give you the guidance and assistance you deserve. If you’re prepared to become the best martial artist in the Lone Star State, call us today for more info. We’ll be around to assist you and make the most out of your situation. With our instructors on your side, never again will you have to worry about not getting the most out of your martial arts capabilities. Keller is a city that is heavily entrenched within the Tarrant County of Texas. It lies within the Dallas-Fort Worth area, and it is a hot spot for Texans around the state. With over 40,000+ residents, you’ll always be able to count on Keller to be a happy home for you. Did you know that we’re quickly growing into a local powerhouse? If you’re trying to find a place that can help you raise your family safely, this is it. We also have awesome resources for local businesses trying to grow. Interested in learning more Adult Martial Arts Keller TX? Ready to begin your transformation? Choose from one of our 20 locations across Texas to Get Started today.